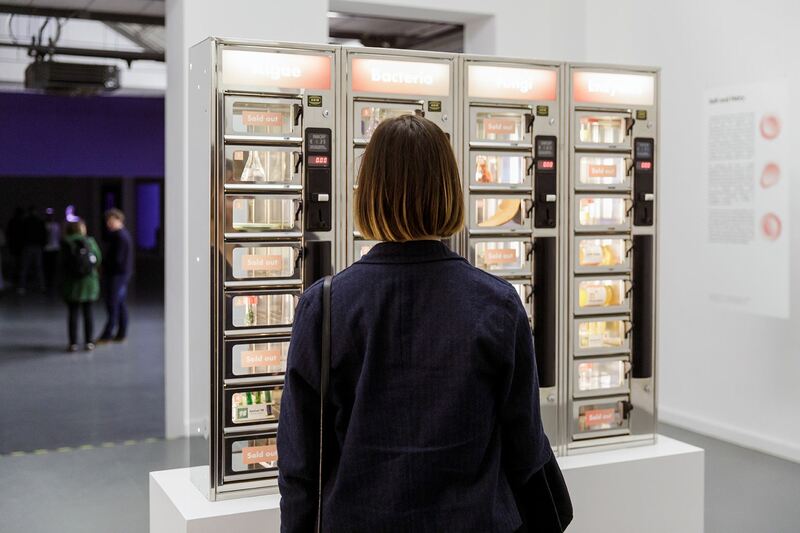 The Microbial Vending Machine explores the invisible micro life around us, which is so essential for life, food, energy, materials, and new means of production. It shows the potential of biotechnology enabling us to apply organisms across various products, materials, and sources. Asking, what won’t be grown from cells in the future? Using microbes; bacteria, algae, and fungi, we can produce personal care products, bioengineered vanillin, an aromatic flavour compound which give vanilla it’s flavour and scent, bricks used in building and insulation, and fabrics that may replace leather and cotton. We now are able to grow meat and collagen in petri dishes without killing animals and produce garments from spider silk proteins. The power of biotechnology is here and now. Biotech will eventually dominate our lives, from medicine to material. How does this shape our everyday lives? 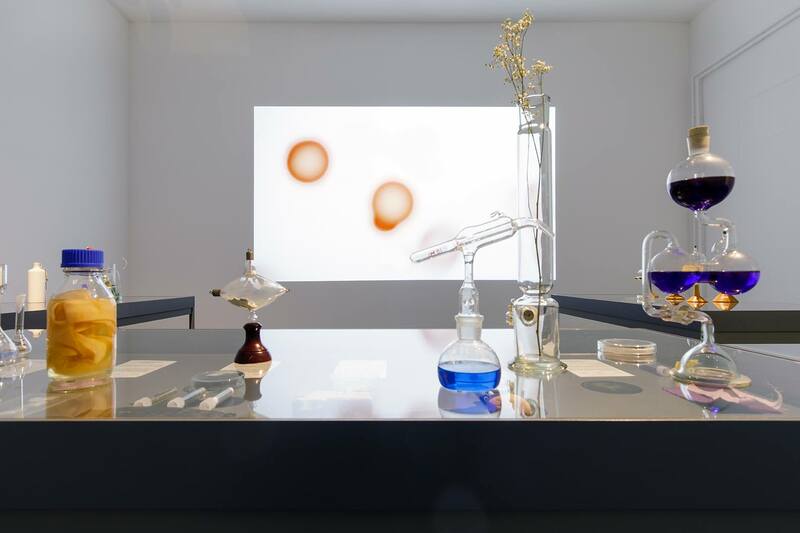 By making organisms more accessible to a wider public of independent researchers, institutes, and designers we are able to discover its properties and apply them in a wide variety of products. 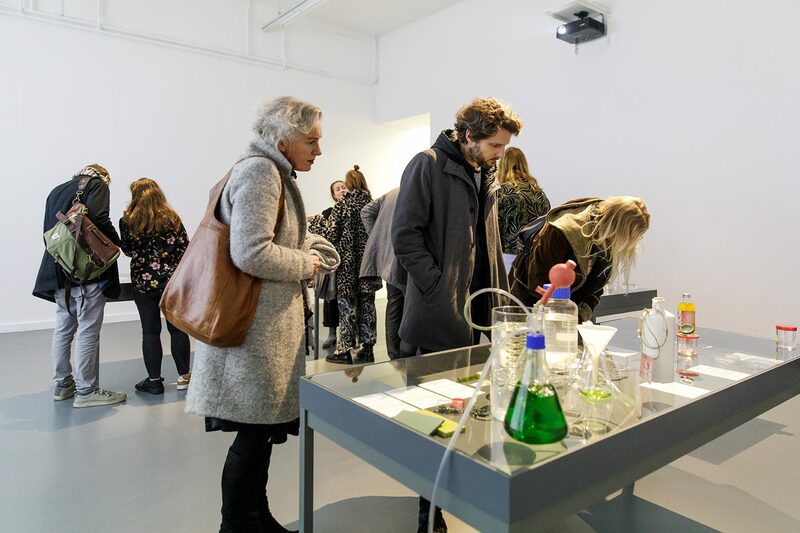 Designers and scientist start to shape the future in a more regenerative approach to create a biofabricated future where boundaries dissolve in sharp contrast with the modern conventions of subduing and exploiting the environment. Eventually delivering biofabrication to consumers at scale. 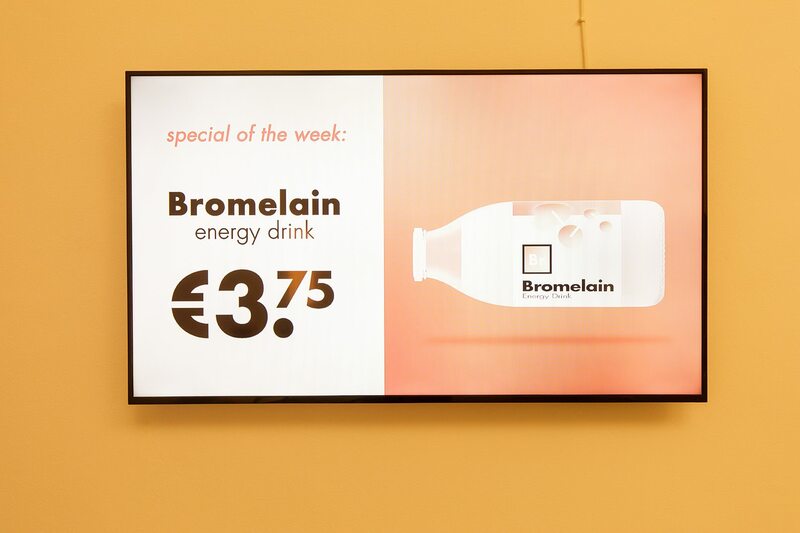 The Microbial Vending Machine contains collectible organisms, which may be far more valuable in the near future than any candy bar or soda. Ultimately, the organisms enable us to approach design, science and construction in an entirely new fashion. 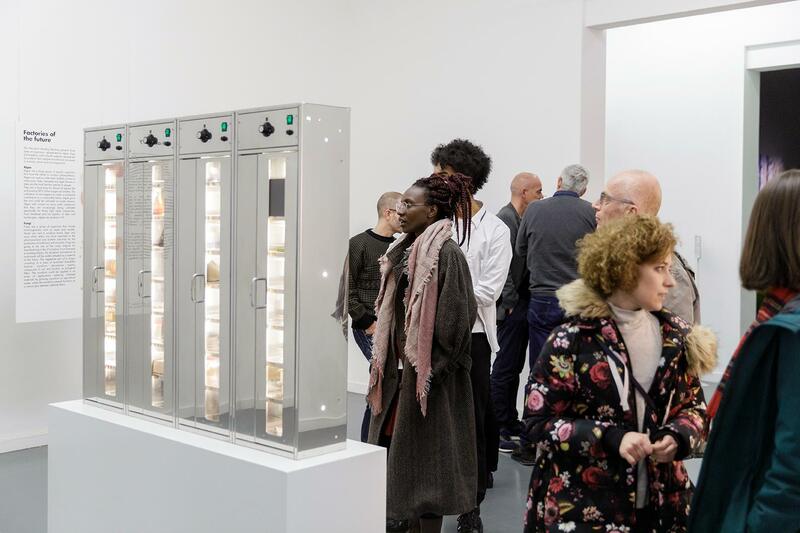 The Microbial Vending Machine presents three types of organisms, represented by algae, fungi and bacteria, with a fourth category represented by proteins that catalyse biochemical processes in animals, plants and microorganisms. Algae are a large group of aquatic organisms that have the ability to conduct photosynthesis. Algae are used as cattle feed, biofuel, or even to make paint. Kelp, seaweed and algal blooms in lakes are the most familiar species to people. They are a food base for almost all aquatic life and produce 80% of the oxygen we breathe. The cultivation of microalgae can make a substantial contribution to a sustainable future. Algae grow fast and could be cultivated on waste streams. Algae cells contain so many useful substances that they are increasingly being cultivated specifically for those high value compounds. From biodiesel and bio plastics, to dyes and hamburgers, algae can produce it all. Fungi are a group of organisms that include microorganisms such as yeast and moulds. Yeasts are used to produce bread, beer, and wine while others are more important in the pharmaceutical and biotech industries for the production of antibiotics and enzymes. Fungi are going to be one of the major engines for manufacturing in the 21st century. From footwear to building blocks, the mycelium root network of mushrooms will be widely adopted as a material of the future. This vegetative part of a fungus consisting of a mass of branched thread-like hyphae, mycelium, decompose organic compounds in soil and function as biological filters. The mycelium could be applied in an array of applications replacing oil-based materials by growing mycelium on agricultural waste, where the mycelium network functions as a natural glue between cellulose fibers. Bacteria are microorganisms, sometimes noticeable by the naked eye. They are believed to be the first life form that emerged on our earth. They are found everywhere in the environment, such as air, soil, water, and our body. Even extreme environments can be home to bacteria, from glacial lakes to outer space. Bacteria are useful to us as humans; they play a vital role in our digestion system, production of vitamins, and our immune system. Cheese, yogurt, miso, kimchi, vinegar and salami, just to name a few of the many foods we enjoy on a daily bases that are produced with the help of bacteria. Due to modern day sanitation techniques of water filtering, heat treatments, and food preservation such as the refrigerator, we have managed to push bacteria and microbes out of our lives. The diminishing presences of bacteria has lead to the increase of food allergies, asthma amongst others. From a negative impact to a positive impact, bacteria can produce a lot of food and materials. From ink to artificial leather, the bacteria can make it all. Enzymes are active proteins that are fundamental for numerous functions in our body. From speeding up reactions to breaking down the food we eat, every single cell depends on enzymes. They are like pieces of a puzzle that fit exclusively in one spot. Amylase is an enzyme that is naturally present in the wheat grain, it cuts starch into smaller pieces so that they become sugars. These sugars can be used by the yeast to form gas and allow the bread to rise well. Some enzymes are used commercially, for example in the synthesis of antibiotics. Household products use enzymes to speed up chemical reactions for example washing powders to remove stains on clothes. Enzymes are also applied in the field of textile processing, for example man-made spider silk. DNA samples that mimic spider silk proteins transform the DNA into yeast. No need for real spiders in this process, considered stronger than steel and tougher than Kevlar. 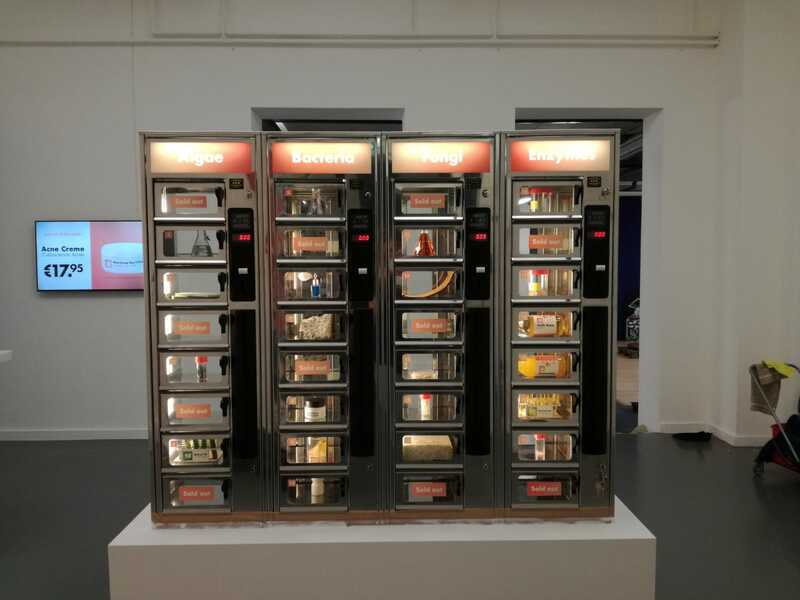 The Microbial Vending Machine is part of the Dolf Henkes Award Exhibition. The Henkes Foundation biannually awards the prize to an iconic Rotterdam artist. The jury, led by Fons Hof, nominated the four artists for the €12,000 prize. 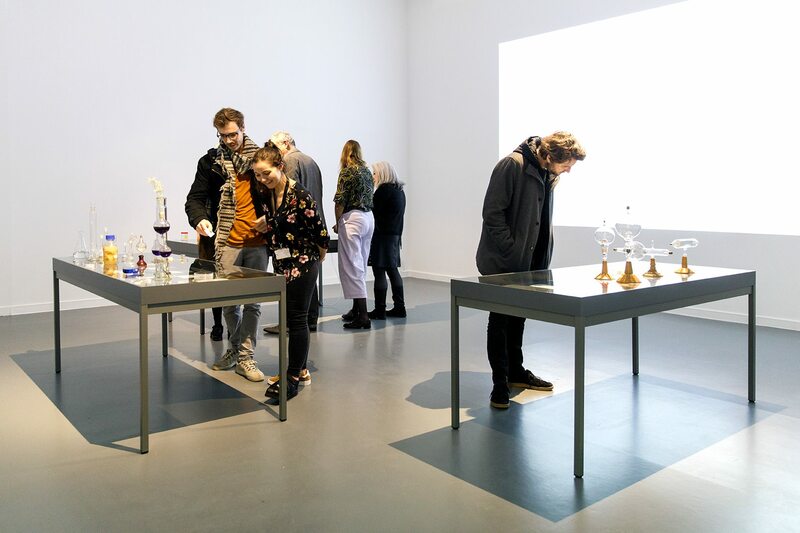 From Friday 14 December 2018 to Sunday 17 February 2019, an exhibition of the nominees’ work takes place at TENT. 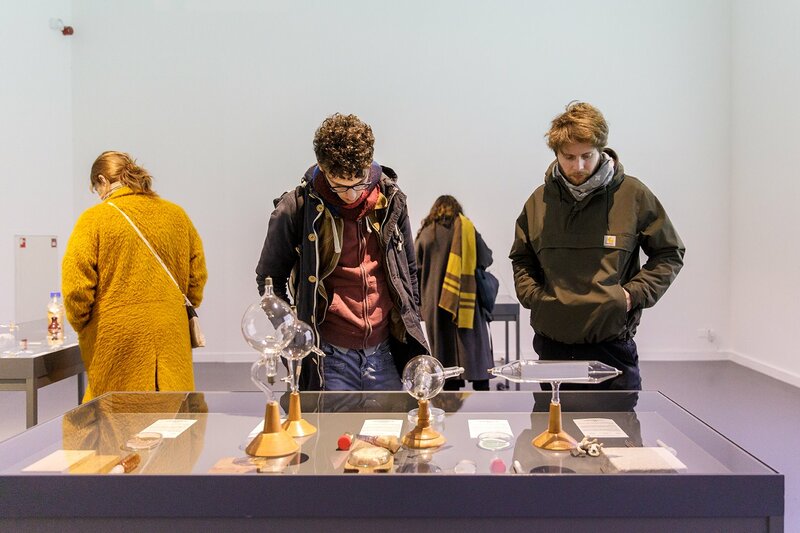 The winner will be announced on Thursday 7 February 2019, 18.00h at TENT during Art Rotterdam.